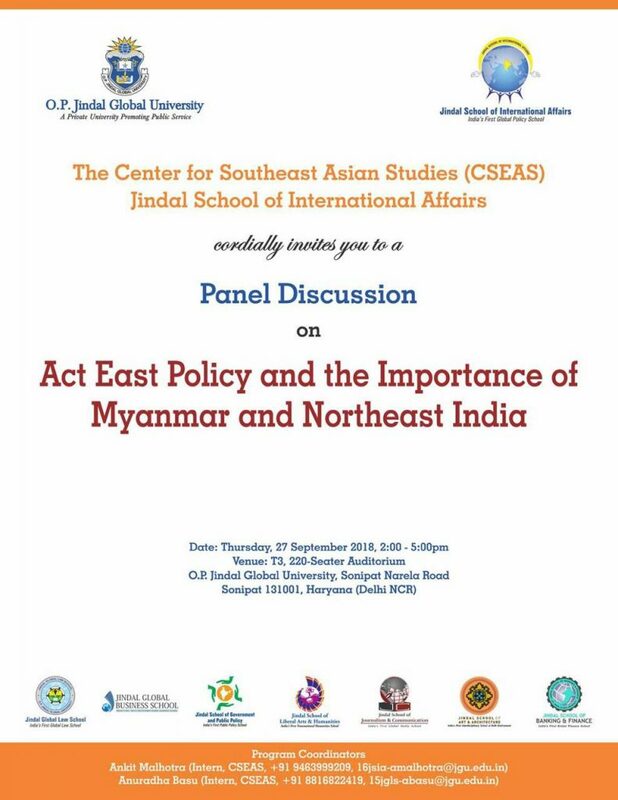 The Center for Southeast Asian Studies (CSEAS) Jindal School of International Affairs is hosting a panel discussion on ‘Act East Policy and the Importance of Myanmar and Northeast India on Thursday at the O P Jindal Global University in Haryana (Delhi NCR). The panel discussion scheduled to begin at 5 pm on Thursday next will be held at the T-3, 220 seater auditorium of the O P Jindal Global University at Sonipat in Haryana. While Shagun Nayar, research assistant of CSEAS will give the welcome address, Dr Nehginpo Kipgen, associate professor and executive director of CSEAS, Jindal School of International Affairs, O P Jindal Global University will chair the panel discussion. 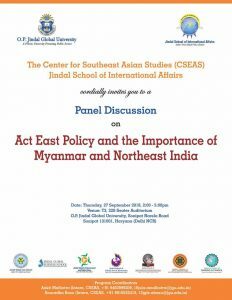 The panelists include Vikram Doraiswami, Joint Secretary (Ministry of External Affairs) for Myanmar and Bangladesh who will present a lecture on ‘Why Myanmar is key to the success of Act East Policy’. Rajiv Bhatia who is a distinguished fellow at the Foreign Policy Studies Programme at Gateway House and Former Indian Ambassador to Myanmar between 2002 to 2005 will have a presentation on ‘From Look East to Act East Policy: Developments and Challenges’. 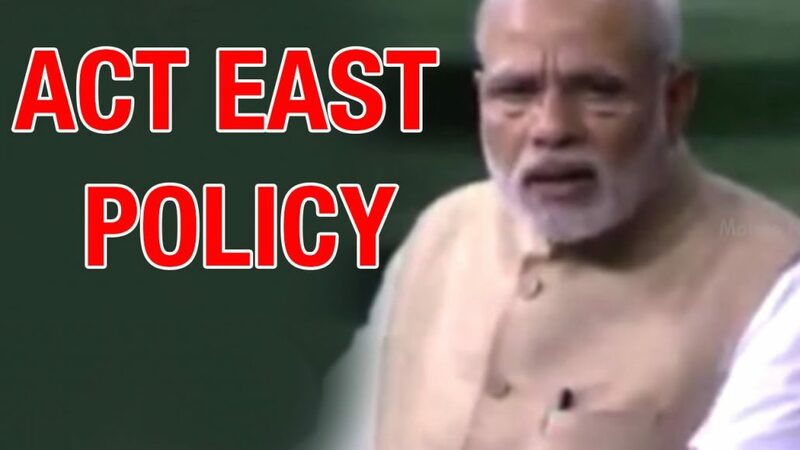 Dr G Vijayachandra Naidu, professor at the Centre for Indo-Pacific Studies, School of International Studies in Jawaharlal Nehru University will present his paper on ‘Act East Policy and Southeast Asia’. Dr Temjenmeren Ao, research fellow on Southeast Asia at the Indian Council of World Affairs will have a presentation on ‘The Importance of Northeast Region in Act East Policy’. Gautam Mukhopadhaya, former Ambassador to Myanmar, from January 2013 to May 2016, will present a discussion on ‘Future Prospects of Act East Policy: Policy Recommendations’. The concluding remarks will be offered by Dr Sreeram Chaulia, professor and dean of Jindal School of International Affairs.